I have heard many say that God is waiting until they are ready, or until they have grown or have learnt something before He will heal them, prosper them or give them children. Let me tell you, this is definitely not scriptural. A lot of people find God through sickness, disease and suffering but that doesn’t mean that God caused or used it. In fact, He will work in spite of it. What Satan intended to harm and destroy, the Lord will take and work for good. So, does God’s timing play a part when it comes to healing or to receiving children? Do we need to sit and wait until God is ready to heal, bless us or give us a child? When it comes to the finished work of the Cross and what Jesus purchased for us, I personally do not believe in ‘God’s timing’. This is because it would mean you would be waiting for God to do what He has already done! We know that when God created Adam and Eve, He created them healthy. He blessed them and told them to go forth and to multiply. Adam and Eve did not suffer with sickness or disease. He made mankind blessed, fruitful, and healthy! Remember, we don’t have to come and ask God for what He has already provided for us. If you are struggling in this area you need to understand – it is NOT GOD WITHHOLDING FROM YOU. God is not making you sick – or preventing you from being healed or from receiving children! When Adam and Eve ate of the tree of the ‘knowledge’ of good and evil, in the Garden of Eden their eyes were opened and they knew evil. Knowledge means to know by observing, calculating and experiencing. Up until that point they only knew good. We know that the result of the fall in the Garden meant that the world was now in a fallen state (it was now cursed for Adam’s sake – meaning as a result of what Adam had done). Satan was also made god of this world. When Jesus died on the Cross, He paid the price for EVERYTHING that came into the world as the result of sin and the fall. Satan is still roaming the earth as the god of this world (for a time) and the consequences of the fall are still at work, and this is why sickness, disease and infertility and miscarriage are still operating on the earth. But, praise God, through the work of the Cross JESUS DISARMED IT ALL! He deprived it of power to harm us! He bore it ALL on His body, and He became our substitute. So ANYONE who looks to the Cross LIVES! We do not have to continue to be bitten by this fallen world and the effects of the curse of the law. If we partake of the work of the Cross we can overcome and learn how to walk in victory over what we may experience! Isn’t that exciting?! Through Jesus, God has made the provision for your healing. And this includes healing from everything that can cause or contribute to any form of sickness, disease or pain upon your body. It also includes whatever condition is preventing you from conceiving and carrying your healthy babies to full term. We know that when Jesus ascended to heaven – He SAT DOWN! His work was complete! So this means that we don’t need to pray and ask God for what He has already provided because it is FINISHED! This means sickness and disease and everything that causes them are FINISHED! So this also means that infertility, miscarriage and whatever causes those is FINISHED! Healing and fruitfulness is God’s plan, purpose and will for all of mankind. That never changes. The causes of sickness, disease, infertility, miscarriage and pain are many and varied, but remember, Jesus has already paid the price for ANYTHING and EVERYTHING holding us back from receiving healing, conceiving and walking in perfect health! So you can clearly see that God’s timing has nothing whatsoever to do with healing or having children. Jesus is sitting at the right hand of the Father – WAITING FOR YOU – to go and possess EVERYTHING He died to give to you! So what are you waiting for? GO FORTH BE HEALED, BE FRUITFUL AND MULTIPLY! See Also Waiting on God? When you are wanting children the Christmas and New Year period can be very painful. Not only has another year gone by but you may have to face family and friends with all their nagging questions. If you don’t already know I have a whole range of Video Messages and Prayers on Youtube. Visit http://www.youtube.com/user/newlifem777 to view. I meet many couples who are struggling in the area of infertility and miscarriage who have been told that they are under a curse and it needs to be broken off of their life. BUT what does God say? In this message you will discover the truth about Jesus finished work and how He has redeemed you from ALL curses so you can be FRUITFUL in every area of your life! In this message, Gillian Shares her testimony how she overcame the grief and sorrow after the loss of twins in the 2nd stage of pregnancy (after 7 years of infertility). 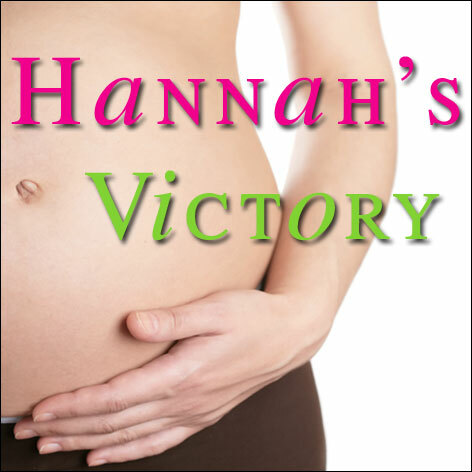 Gillian not only overcame loss but also infertility and miscarriage. She is now a mother of 2 beautiful girls and walks in a spirit of victory. Gillian shares her journey through how she conceived her first child through IVF and then her 2nd child supernaturally – in spite of impossible circumstances. Bronwyn first shared her Journey in 2005 on her conception journey and victory over 2 threatened miscarriages with her first 2 miracle children. Bronwyn also shares how she experienced a joyful, quick and blessed birth with her 2nd baby after being traumatised while giving birth to her first baby. Bronwyn shares her journey through both primary and secondary infertility and how after Five consecutive miscarriages she discovered God’s grace, which then enabled her to conceive against all odds and carry her baby safely to term without any complications! Sharon was healed from a tumour on her pituitary gland and from dermoid cysts. She is now a joyful mother of 3 beautiful boys. Gillian shares how to walk by the Word of God over loss and grief. This is a very powerful message that will encourage anyone that has lost a loved one. Gillian shares a brief message to encourage you how to change your world through your words. Gillian shares how she learned how to fight the good fight of faith and not waver during her journey to conceiving her miracle babies. Discover what you can do in between discovering you can’t have children, finding the truth in God’s Word & then holding the baby in your arms. Nerida shares a very candid and open message to encourage the couples on one of our on-line support groups. We felt to release this on the net so that other couples can be encouraged too. Visit the Audio Pages at www.neridawalker.com for more messages on fertility and also for General Audio messages on Healing and Jesus finished work. Our Interview at Aizawl Press Club made it to Page 3 of “The Mizoram Post” We were very excited to be able to spread the news of our visit so that we could reach more struggling to conceive. We also made it on TV as well! Did you know that God is good all the time? Most believers will say they believe this BUT when something doesn’t go as planned God usually gets the blame. When you know God’s character you will realise that He is not the one behind your trouble. However, He is always available to show you the way through. 8) God’s Kingdom does not work against itself! A house divided will fall! 11) All of God’s callings and gifts are irrevocable, (without repentance), which means that God does not change His mind (Rom 11:29 – see Amp and MSG versions). 12) God does not show partiality or favouritism (Acts 10:34, Rom 2:11), which means that He does not bless one person over another. God’s gifts are freely available to ALL who believe in Him.